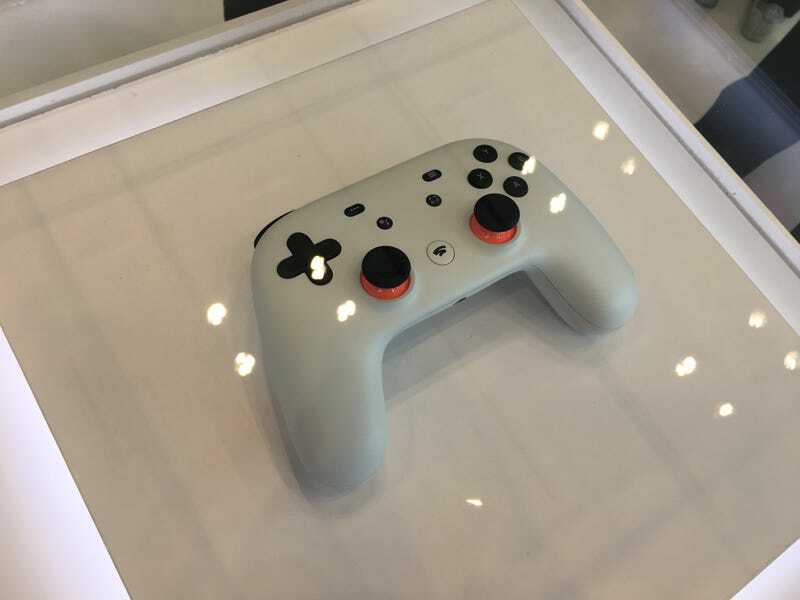 I was hoping there’d be some hands-on with the Google Stadia controller at GDC, but alas! I was hoping there’d be some hands-on with the Google Stadia controller at GDC, but alas! It is simply here under glass. You can play Assassin’s Creed Odyssey via the cloud here at the Stadia booth at GDC, although that’s something you could have already experienced via Project Stream.